The last stretch, the one that no one not even us, can see on our tracker has been about trios or things that come in threes. 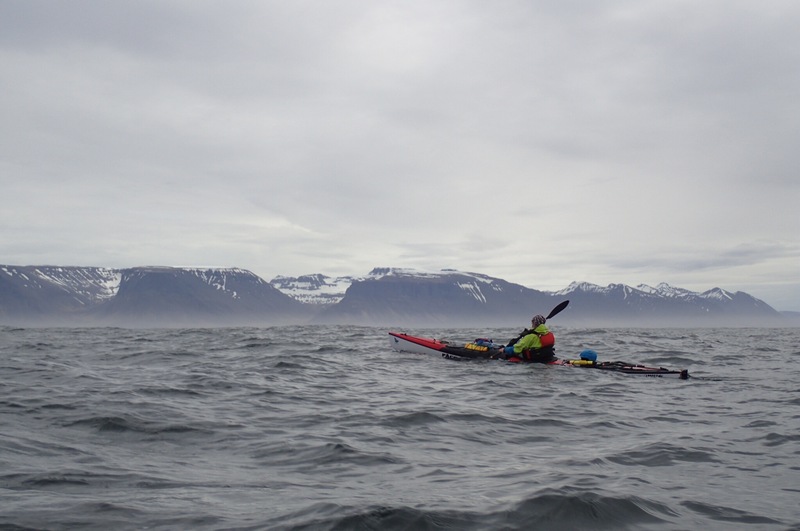 Firstly, we have paddled across three fjords. 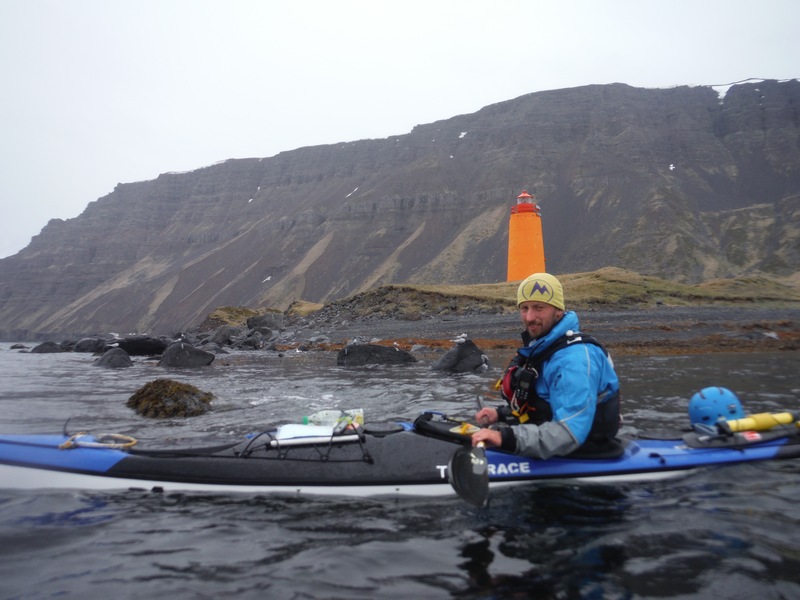 First fjord was called Arnarfjordur, and if we paddled inside we could have visited a birth place of Jón Sigurdsson, the leader of the 19th century Icelandic independence movement. We have not done that as that would be just too far in. We stayed on the outside and later spotted a tiny digger fixing a road above the sea on the side of a tall mountain. That was very impressive. After that we crossed the Dýrafjordur. It has a little headland bit, which is very green against black background, with an orange lighthouse at the tip, and surprisingly some sheep as well. The third fjord we have crossed was the Onundarfjordur. Inside which were three identical mountains. All magnificent, black and white, and a little bit surreal. Once again we were taken aback by the scale of the landscape. For the whole day we were imagining being in Greenland. Not that we ever been there, but this is how we imagine it, desolated landscape formed by glaciers. Secondly, were our encounters with fishing boats. From previous experiences, any time we see a boat, we are very vary of it, making sure we know where it is all the time, and stay out of its path. So, we had three encounters so far. One boat was trying to create yet bigger conditions on top of the big ones, we already had. The next boat was watching us, waving at us, showing us a fish they just line caught, but failing to give it to us. Something they could have done, just because they might have been nice people, and we could enrich our diet. The third boat will be forever in my memory as the one, who tried to run us over. We were negotiating yet another race at a headland, when this boat started to get really close, we tried to see where it was actually pointing to avoid it. However the confused sea was making it pointing it at us. Why?! We could not understand, until the guy came really close and got his camera out. He just wanted to take pictures. Can I just say that if any other fisherman wants to come close to us, they can, but only at calm seas and when they want to share their catch with us, please? Now the third and most important part of this triptych. 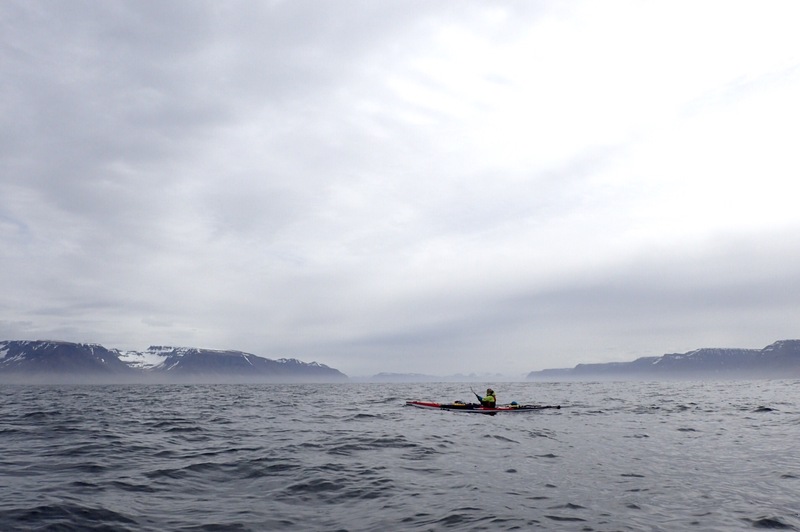 We spend 12 hours paddling, and were heading some 60 kilometres away towards a town called Sudureyri. It is a town closest to main road, where we were hoping to do some shopping. We started to run short of few things: the power in some of our devices, the whiskey and the toilet paper. I’m no sure which one of the last two is more crucial really.